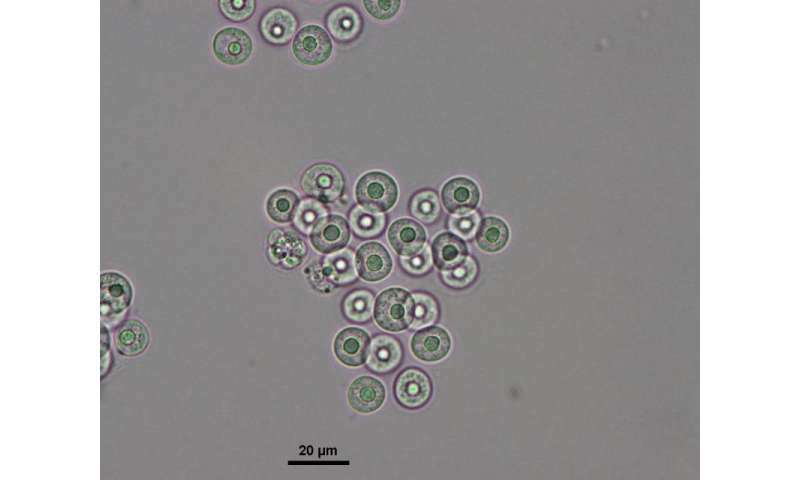 The Neofood project, currently being run by Neiker-Tecnalia, the Basque Institute for Agricultural Research and Development, is seeking to identify species of marine microalgae that are present on the Basque coast that contain bioactive compounds of interest, such as omega-3-type oils. The R&D centre has managed to identify and isolate a set of microalgae species belonging to the Thraustochytridos family that have high levels of lipids and docosahexaenoic acid (DHA). The research is being funded by the Department of Economic Development and Competitiveness of the Government of the Basque Autonomous Community through the Berriker programme of the Directorate for Food Quality and Industries. Bioactive compounds that can be used to produce functional foods currently represent one of the most important areas of research for the food industry; that is why Neiker-Tecnalia is seeking innovative proposals for the sector. The biochemical analyses of the strains isolated by the research centre reveal a presence of 20% of DHA among all the fatty acids that these microalgae produce. 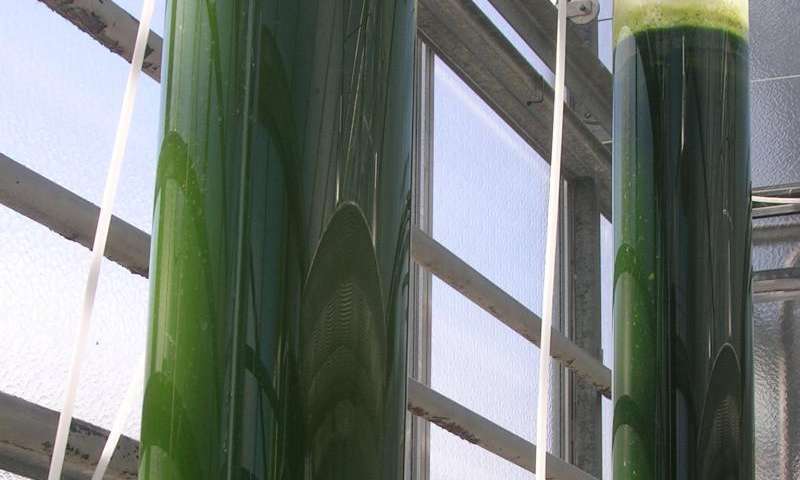 Neiker-Tecnalia has developed a crop protocol suited to the selected microalgae that takes into consideration the influence of a range of factors, including salinity, the concentration of nutrients or the type of nutrients. Cultivation of this type allows the obtaining of DHA and other omega-3-type polyunsaturated fatty acids to be optimised to a maximum. What is more, the biochemical analysis of these species has revealed the presence of other compounds of interest for the food industry: natural pigments with an antioxidant capability or extracellular hydrolytic enzymes, such as lipases, cellulases or proteases. The Thraustochytridos species isolated in the research were taken from samples collected in the Bizkaian salt marshes of Pobeña (Muskiz), Txipio (Plentzia) and Busturia (Urdaibai). The Neofood project goes beyond the identifying of microalgae with bioactive compounds and likewise seeks to prepare new food creations that incorporate the health-giving and sensory aspect of the beneficial compounds of the microalgae. Omega-3-type polyunsaturated fatty acids are regarded as nutrients indispensable for health. The scientific community and the food industry alike recognise the benefits of consuming them and recommend that they be added to diets. Fish oil is currently one of the main commercial sources of polyunsaturated omega-3-type fatty acids. The expected growth in the demand for these compounds as well as their origin is driving the quest for producer microorganisms such a microalgae, a prominent one among them being the family of the Thraustochytrids. These unicellular micro-organisms of marine origin, which are widely distributed in ecological and geographical terms, are found on cold, temperate and tropical coastlines, such as mangrove swamps, salt marshes and estuaries. These micro-organisms carry out heterotrophic nutrition which mostly involves decomposing organic matter. They are characterised by their capacity to build up large quantities of lipids, up to 50% of their weight, and by having a significant presence of DHA that can be as much as between 27% and 70% of the total amount of the fatty acids they produce.